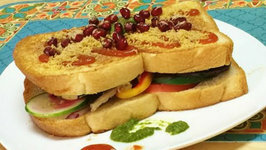 The perfect sandwich for those who love Oriental cuisine! 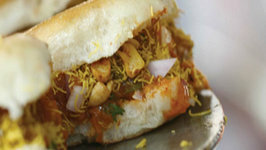 The Schezwan Paneer Cold Sandwich is marked by a really tangy and peppy flavour derived from Schezwan sauce, .. 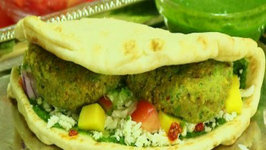 I had Naanwich at Disney Epcot Center, all organic ingredient and yummy. So thought of making since I was craving for it..
Bollywood elements of vibrant color, flavor and more. Staying young is no challenge, if you know the right stuff to eat. 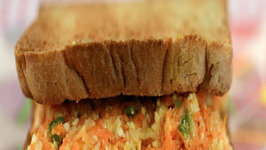 For example, you could snack on this scrumptious Carrot and Green Peas Sandwich instead of opening a ..
Calcium and protein rich snack especially for kids. 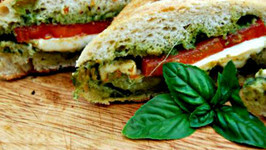 One sandwich is more than enough to fill in their tummy! 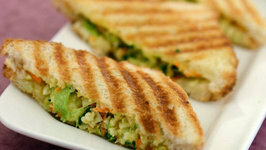 both these nutrients are very important during their growing ..
Are you on a diet, and feeling forlorn about not being able to have buttery grilled potato sandwiches? 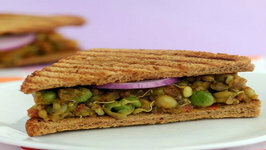 Well, this Masaledar Mixed Sprouts Sandwich is so tasty you will ..
Kannda bhajji pav, the mumbaiite is no stranger to 'kanda bhajia'. You must try it too! 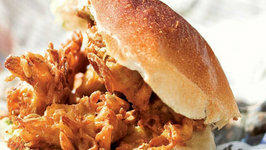 thinly-sliced onions are flavoured with spices and deep-fried in hot oil. 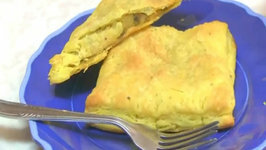 When it comes to preparing Samosa stuffing, most of you think about potato or meat stuffing but I love onion cauliflower peas (with paneer sometimes) filling. 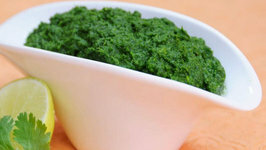 Green chutney, a best accompaniment to almost all indian starters. . . It can also be used for making sandwiches. 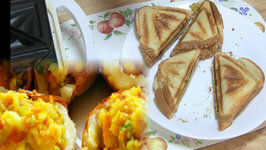 A quick and satiating breakfast with vegetable, paneer, and cheese stuffing! A glass of milkshake is just perfect to round up your morning meal. 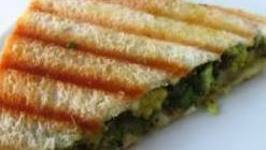 Munch on this innovative and nutritious vitamin A, protein, calcium and iron rich recipe. 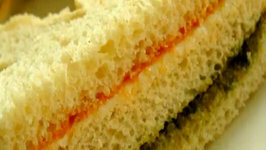 Paneer and cheese, if consumed in moderate amount, can do wonders for our bones, ..
One of the most popular snacks of all time is the sandwich. It comes in innumerable varieties, shapes and sizes, but continues to be a preferred snack option right across .. 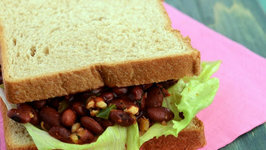 Sandwich is a great filling dish that offers lot of energy and can be made with low-calorie ingredients. 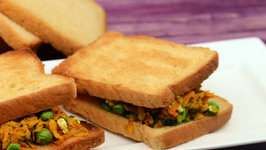 A simple snack, yet a tricolor special to celebrate the Indian Republic Day! 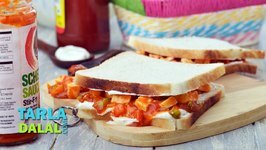 Finally an interesting and good recipe of Sardine Egg And Tomato Open Sandwich has arrived. Total time you have to spend on preparation and making of dish is only 30 minutes.